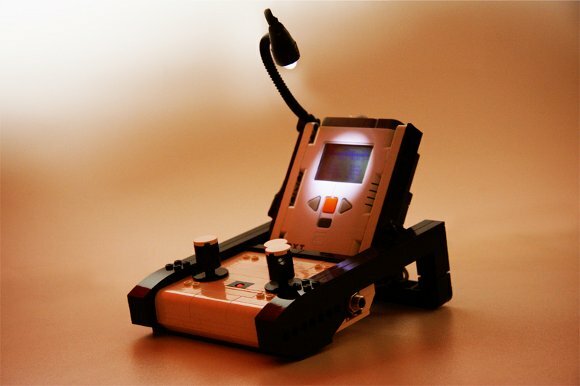 Peter Cocteau’s NXT-606, an 8-bit, sample-based drum machine built on LEGO’s Mindstorms prototyping platforming, has already been making the geek blog rounds. But let’s consider it here as more than just novelty. First, there’s a new video which better demonstrates the instrument, how it functions, and how it was developed. Second, there are design features of this project that I think are worth admiring beyond the sheer “because you can” achievement (which is, I’ll admit, formidable, as well). Brilliant, minimal design: Peter cleverly consolidates controls on two knobs, as seen in the new video, without requiring laborious menu navigation or making multiple functions of those knobs confusing. Some major manufacturers could learn something from the efficiency of the design here. Friendly housing: Apple’s 80s-model computer designs were a model of making case designs friendly and approachable. We’ve rarely seen that “read” as well with musical instruments. 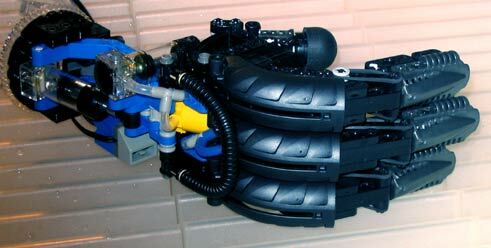 Here, a combination of slick LEGO parts and clever layout get that feeling on an instrument. Focused utility: Part of the reason the housing and interface don’t get overwhelming is because the NXT-606 doesn’t try to do too much. It’s just a simple, sampled drum machine and not more, which makes it more drool-worthy, not less. Rapid prototyping and visually-developed software. I’d be a little happier with LEGO if the Mindstorms and NXT were more open, but it’s clear to see the advantages of this solution, as well. Check out the rapid, visual programming that went into the software development. There’s plenty that more open projects could learn. (This is doubly exciting after the revelation of the new AppInventor project for Android, though we may have to wait some time before we get to play with that. All in all, kudos to Peter. And don’t be surprised when everyone wants these. See also the original video, which also includes detailed specs, as well as the forum post. And if you have an NXT, you can try this out yourself. Another childhood memory is when I saw someone, on television, making robots with electronics and LEGO. It was about 1984. I just said to myself, “I want to do the same thing!” and stole my father’s “electrical switch” to control a few LEGO motors. I’ve played with batteries and speakers too, and stole my brother’s electronics kit to make a radio, a synth, and things like that. I also made my own Jean-Michel Jarre-style synth by replacing switches with optical resistors. Growing older, I became a musician, forming a “New Wave” band with a school friend. And once again, I stole my brother’s toy — an Atari 1040 STE [computer] to connect to my synth. The era of computing and audio began.. In 2000, when I discovered LEGO Mindstorms, I fell in love again. Those products were what I’d dreamt about 15 years earlier. 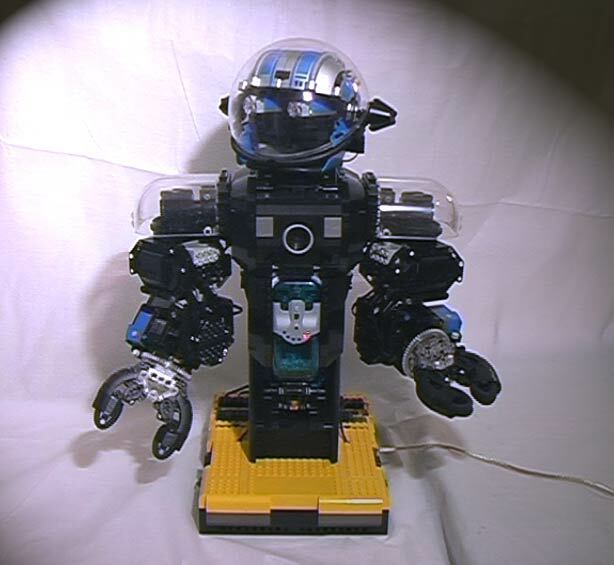 Since 2000, I’ve created a few robots (as seen in the end of the video), shown at a technology exhibition, a LEGO exhibition, robotics shops … and given some Robotics lessons in engineering schools. I like LEGO Mindstorms because of the unlimited number of possibilities with the help of all the compatible bricks. It was only in 2006, when the new NXT LEGO computer arrived, that I knew it was possible to make a very cool LEGO instrument. But for technical reasons, it became possible to make a real sequencer only in 2007. I’ve worked a lot to make the application and gave up two or three times.The difficult thing is that the NXT does only one thing at once, so it’s not easy to make real-time drum machine. In fact, the NXT-606 became real in 2008. I didn’t talk about it on the Web at this time. The NXT-606 sound in video is equalized on CR-1605 Mackie and compressed thru DBX compressor. Peter also notes that people have expressed an interest in buying this device; it sounds like he’ll entertain specific commissions to build a limited number. Thanks to Peter for this insight. I really love getting the story from childhood dream to reality; it’s a story that’s familiar to many of us, I’m sure.